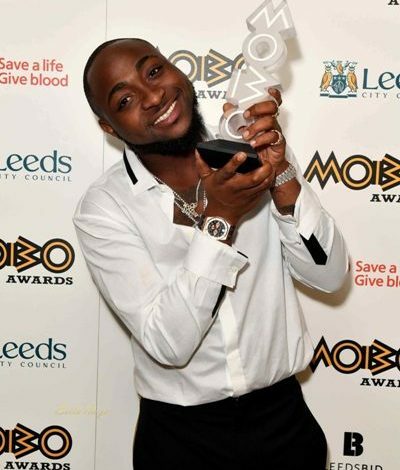 Following a viral video that captured the moment a lady walked out on her boyfriend who openly proposed to her at Onitsha Shoprite, Nigerian musician, Davido has reacted. 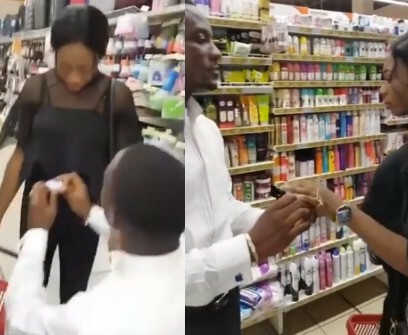 This is coming as Nigerians on social media reacted by saying that the lady never loved her boyfriend, while others hailed her for not succumbing to pressure. 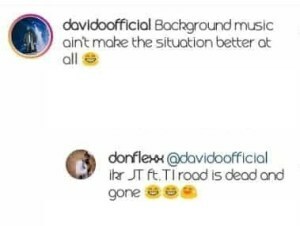 Davido while reacting said that the song playing in the background of the video, titled ‘Dead and Gone’, did not help matters at all.